For out-of-town trips, you will need an all-in-one rice meal, won't you? 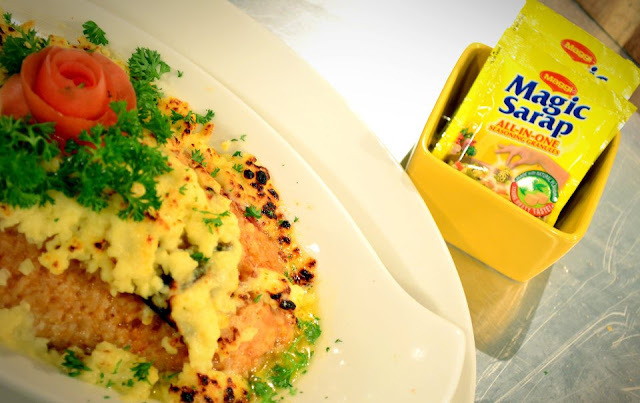 Here is the perfect solution from the kitchen idol himself - Magic Cheesy Chicken Rice Casserole. Both filling and fulfilling, indeed; as it not only satisfies one's craving for something delicious, it also gratifies one's need to stuff the tummy. 1 Combine first 9 ingredients in rice cooker. Cook until rice grains are tender, mixing occasionally. 2 Add cheese during the last 5 minutes and stir well.